Dr. Rachel Epp Buller is a feminist-art historian-printmaker-book artist-professor-mother of three whose art and scholarship speak to these intersections. 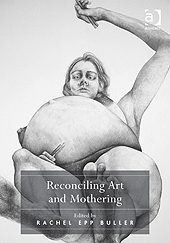 In her dual practice of critical and creative work, she turns to writing, making, and curating to increase the visibility of issues around motherhood, care work, and the maternal body. 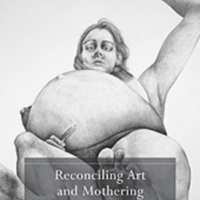 Her maternal writing includes books - Reconciling Art and Mothering, Mothering Mennonite, and Have Milk, Will Travel: Adventures in Breastfeeding - and essays in n.paradoxa, Journal of the Motherhood Initiative, Studies in the Maternal, and in many edited collections. Her recent prints and artist books explore family identities, shared knowledge, imagined histories, and textual references to traditions of fine handwork passed on between generations of women. As a professor at a liberal arts college, she values collaboration in many forms and frequently works with colleagues across disciplinary boundaries. “Rachel Epp Buller,” Artist Parent Index , accessed April 22, 2019, http://www.artistparentindex.com/items/show/47.